This printing team could not have chosen a better name for themselves, from their tireless service, open 24/7 to deliver a range of experienced printing services. You can see that this team knows hard work and phenomenal customer service goes a long way. 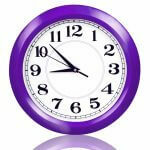 Offering a wide range of printing and in-house technology they can make sure you get what you need day and night. Taking your vision to the next level and helping you grow your business to it’s full potential. The Knight Printing Company prides itself in a sound work ethic and excellent service, but they don’t just stop at that. A business can grow on it’s own and go far, but a business that networks and helps grow other businesses can go even further. 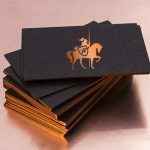 That is what The Knight Printing Company believes and that is why they pride themselves in being part of the networking group In & Around Canary Wharf. The idea behind the group is simple. They want to mutually grow companies in and around the Canary Wharf using each other as contacts to generate more business and allowing for integration between companies and the community. It is about getting to know your neighbours and feeling that sense of comradery between the companies instead of hiding behind office doors and impersonal emails. The companies meet every 6 to 8 weeks and enjoy the opportunity to listen to a guest speaker or two, before each company is given the opportunity to promote themselves to the group. A delicious lunch is served and you are able to individually promote your company in a social and relaxed atmosphere. The Knight Printing team don’t just give back locally, but they have many charities they work alongside to give back to society and the environment. They know the importance of community on a global scale too. They work on many recycled materials as they can proving that the level of quality doesn’t go down when you care about the world around you. 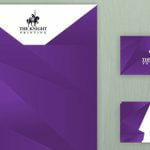 So for any of your last minute presentation materials, brochures, perfect bound books, business cards, posters, banners printing and to deliver same day contact https://www.theknightprinting.co.uk/ where you can see the combination of care and passion meet to get your company’s name out there with precision quality.